Seahouses is a fishing village on the Northumberland coast, a few miles south of Bamburgh. 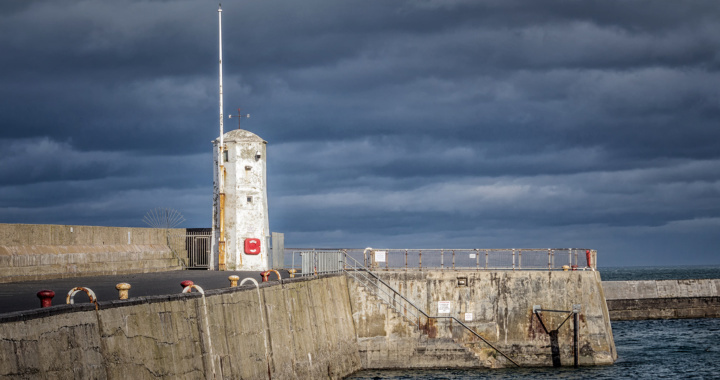 The main attraction for photography is the colourful and busy harbour, which is also notable as the departure point for excursions to the Farne Islands with its seabird and seal colonies. There are plenty of fishing boats, lobster pots and other fishing equipment to photograph around the harbour, which is also home to various ducks and other seabirds. Seahouses is located on the Northumbrian coast, about 50 miles north of Newcastle. If driving from the south, take the A1 north from Newcastle, then turn onto the B1340 just after Alnwick. This leads directly to Seahouses. Once in the town, turn right at the first roundabout, then left at the second, then immediately left again to reach a large car park in the centre of the town. If travelling from the north, turn left of the A1 onto the B1342, passing through Bamburgh. The road continues to the centre of Seahouses, and the car park is reached on the right immediately before the roundabout in the centre of the town. Posted in Northumberland and tagged Coast.